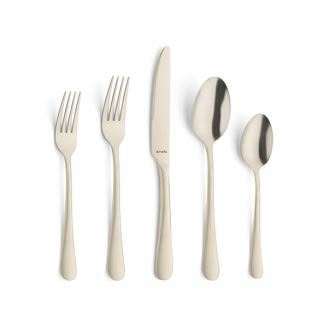 Create character and charm on your table with this Champagne colored flatware set. 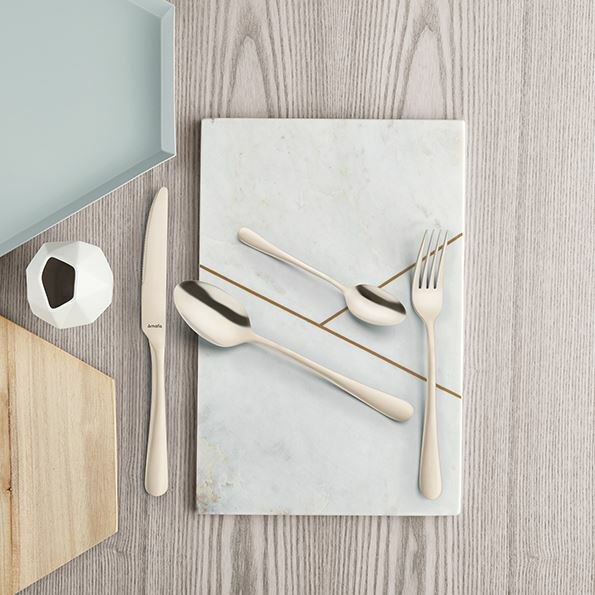 This flatwere set mixes smooth lines with on-trend colours. This set adds a touch of warmth with its subtle champagne metallic hue. This unique set of flatware with champagne finish creates a on-trend effect on the 18/0 stainless steel.